Low Emission Glass or Low-E Glass coatings work by reflecting or absorbing IR light (heat energy). 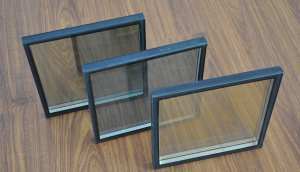 The thickness of the Low E coating and the position in the window (#2 or #3 surface) dictate how the window will perform. When installed on the #3 surface of an insulated Glass unit (IG), the Low E coating will reflect IR heat from inside the room to help reduce the energy loss during the cold months, thereby reducing heating costs. When installed on the #2 surface of an IG unit, the Low E coating will reflect or absorb IR heat from the outside, thereby reducing solar gain and cooling costs during the warm months.